A semi guest post today. 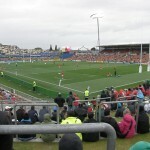 I’m writing about the game – which I saw early on Sunday morning. 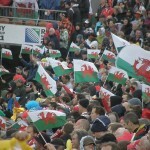 It was fabulous, and a real statement of intent laid down by Wales before the Rugby World Cup semi finals. 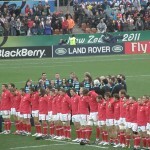 After being in France last World Cup, it was humiliating when I returned to the hostel I was staying after Wales limped out of the World Cup 34-38 to Fiji. 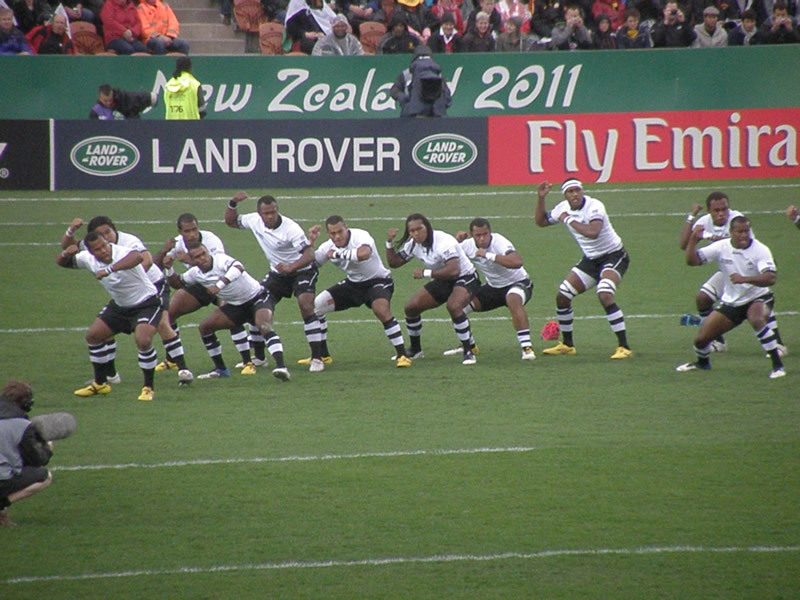 I saw this game as a apprehensive chance of revenge, beat Fiji and then go through to the quarter finals. It was more than a win, it was a massacre. 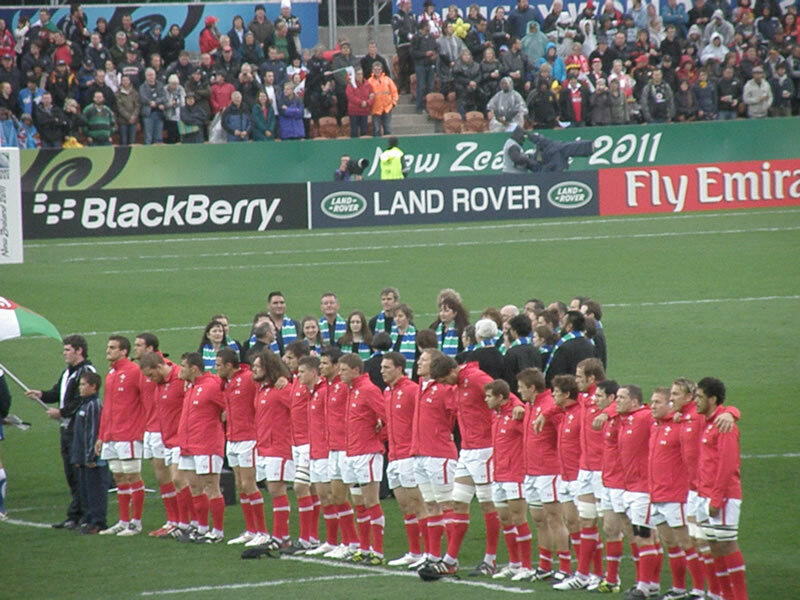 Wales played with huge confidence in the game to set up a quarter final clash with Ireland, and although it was great watching it on the telly, it would’ve been even better to watch this live. Matty Mottram is an expat Colwyn Bay fan now living in New Zealand. 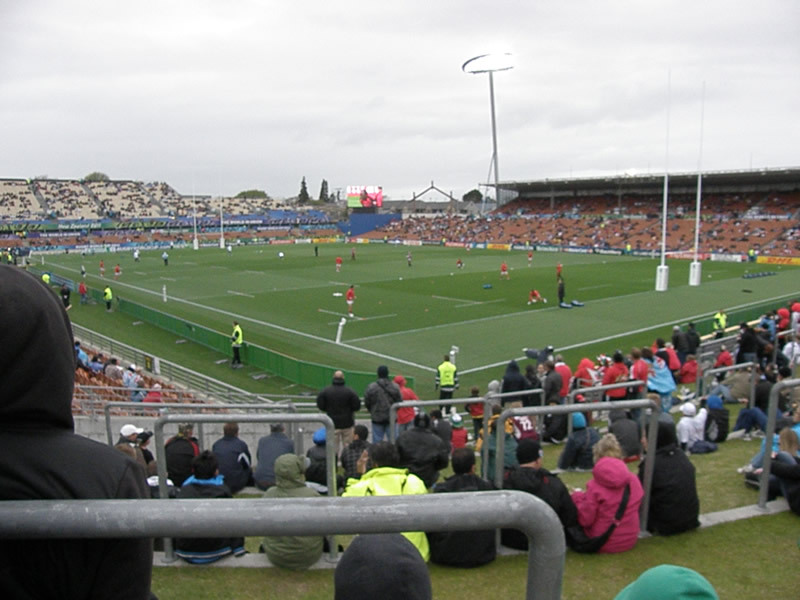 He attended the game in New Zealand, he wrote this match report and took a few snaps in which you can see below. 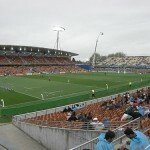 Played at the Waikato Stadium in Hamilton, New Zealand, Wales V Fiji was the final group game with a quarter final place up for grabs…the Waikato stadium is the home of Waikato Rugby Union who play in the National Championship and counting All Blacks Richard Kahui, Sivi Sivivatu & Mils Muliana as current players, and one Warren Galtand has also pulled on the Red Yellow & Black of the “Mooloo Men” here in Dairy country! 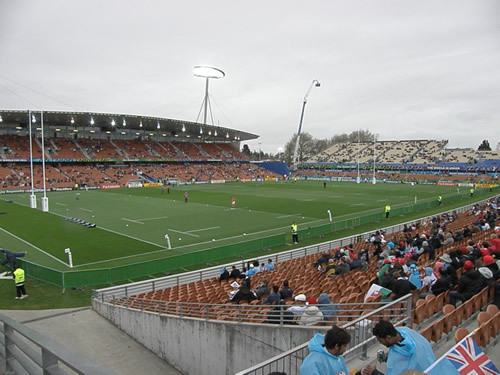 Also based at the stadium are The Chiefs, who play in the Tri Nation Super 15 competition. 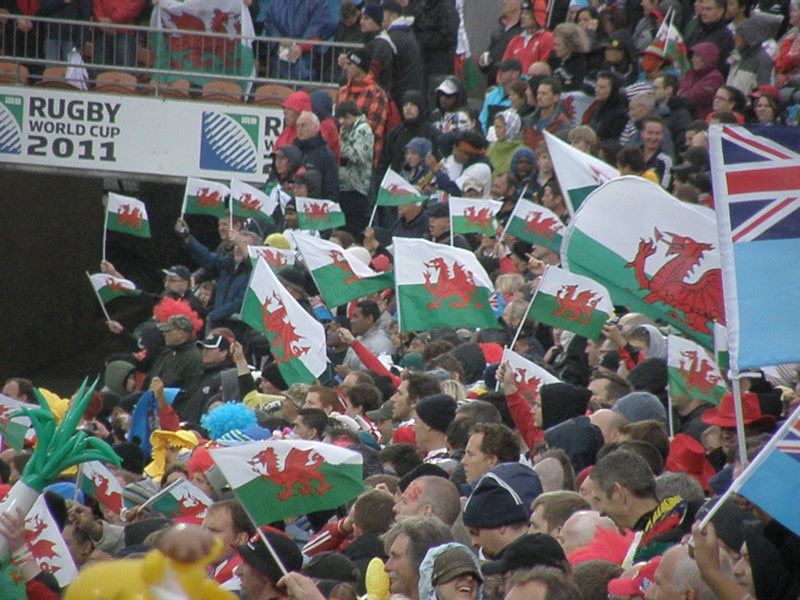 A typically Welsh day. It pissed it down! You can follow Matty Mottram on Twitter, his username is @mattyseagull.